New NFL Game Pass plan and it’s FREE!! 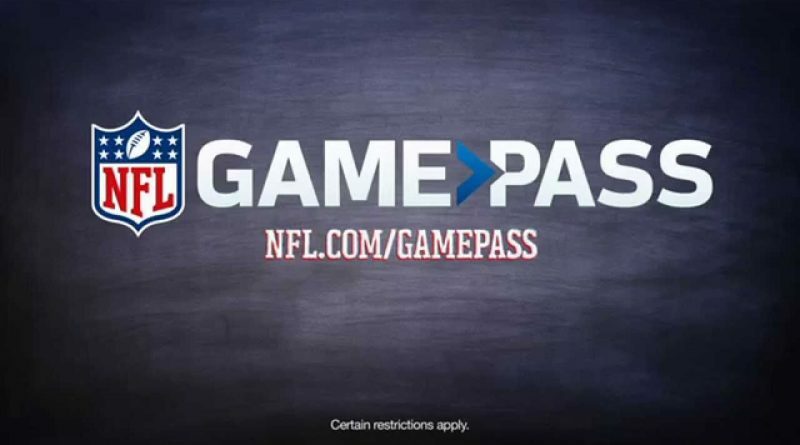 NFL’s Game Pass product is the definitive location for getting your fix of NFL games and content and they offer a couple of plans and price points with a variety of access provided. Keep reading to find out how to get the new free package. This is the premium product and includes all of the Gamepass content with the headline feature being access to all the games live. In the UK there is an exception to that and those are the two games broadcast by Sky in their 6pm and 9pm Sunday slots. Users have to wait 24 hours after the end of the game to watch those two. This is a thorn in the side for NFL fans in the UK, many of whom keep a Sky subscription to bridge this gap or the more devious in the past find their PCs moving to a different country on Sundays to avoid geographical restrictions! This ‘trick’ will no longer work though as I’m told restrictions are now being based on where you purchased, not where you are accessing from. Unfortunately, this one won’t be solved by Gamepass, only by the NFL when they negotiate an extension of Sky’s rights to future game broadcasts. There is no better way to get your football fix than the Pro package. Beyond the games themselves there are a myriad of shows available to watch such as ‘Hard Knocks’, ‘A Football Life’ and ‘Undrafted’. The price of the Pro package in 2018 is £139.99 (Edit: reduces each week as the season progresses, currently £104.99 as at 3 Oct) . You can also purchase the ‘Pro’ package on a weekly basis at £14.99.. If you signed up before 24 September you could pay in 4 monthly instalments. When Gamepass launched ‘Essential’ last year it included access to Sunday’s ‘Red Zone’ – “7 hours of uninterrupted football”, brought to you by the energy bunny, Scott Hanson. Live NFL Network and access to all the games in condensed form known as ‘Game-in-40’. It also included one game live in the 6pm or 9pm slot on Sundays. This was of their choosing, rather than a follow your team option. One other new benefit for Essential users is that they get the upgrade to the weekly Pro package at a discounted rate. Instead of £14.99, they only pay £11.99. So if there are only a few games where you really must watch ‘your team’ live then you can upgrade to Pro in those weeks and still get an overall reduction. Subscribers who had Essential last year and auto-renewed were given the ‘Pro’ package for last year’s Essential price. The ‘Starter’ package is no longer in the 2018 playbook. The previous package gave ‘Redzone’ and live NFL Network but no access to live or on-demand games. Subscribers who had ‘Starter’ last season were auto-renewed to the Essential plan for the price they paid last year. Details have now been announced for the introductory plan and it’s great news for people who follow football but can’t afford the Pro or Essential packages (or already have Sky and don’t want any more games). The new package is FREE and offers NFL Network 24/7 plus game highlights (and they are downloadable too!). What’s even better you can watch on multiple devices (on the same network). This is a must add for any fan of football and should really help encourage more interest in the NFL going forward. Edit: What seems apparent from feedback is that what’s available to Free users when NFL Network are showing live games is altered so they don’t see the live games. This is logical, although it should be made more clear in the terms and conditions on the Game Pass site.